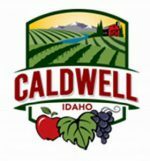 The Community Council of Idaho, Inc. (CC Idaho) is a rural-centered, multi-service nonprofit organization that has impacted Idaho communities since 1971. We are now the largest nonprofit serving Latinos in the state. Our purpose is to improve the social and economic status of local communities through workforce preparation, education, cultural awareness, civil rights advocacy, and well-being services. Employment and training services for middle-high school ages including resume building, interview preparation, public speaking skills, leadership skills, and diversity training. Contact Ric Godina for outreach opportunities to out-of-school sites. Debt Reduction Services is a nonprofit debt management and credit counseling organization that has helped thousands of consumers learn to live debt free. Our goal at Debt Reduction Services is to significantly improve the financial well-being of our clients. The Idaho Department of Parks and Recreation will honor the federal ‘Every Kid in a Park’ passes for daytime entry*. Fourth graders, parents and educators can obtain the pass online (link is external). Simply show your pass to Idaho State Park staff members for validation. Street Medicine and Community Outreach – The Street Medicine & Community Outreach Program provides our neighbors in need with the necessary medical, dental and mental health services available at Heritage Health. Additionally, outreach specialists word to connect individuals and families to available community resources. Services are client oriented, culturally sensitive, and provided with respect to each individual and family. School Based Health Center – The School Based Health Center (SBHC) is a collaboration between the Lakeland and Post Falls School Districts and Heritage Health. The SBHC is a mobile health center that visits various locations around the school district on a rotating schedule and welcomes students of all ages as well as all community members. This is Idahos first School Based Health Center, and a tremendous opportunity for students, their families and relatives to access quality healthcare close to home. The Idaho Lions Eye Bank obtains, medically evaluates and distributes corneal eye tissue from humanitarian individuals who donate their eyes upon death. These programs are aimed at alleviating suffering in Idaho and Eastern Oregon by providing sight and hearing services for financially disadvantaged people. Lions Clubs empower volunteers to serve their communities, meet humanitarian needs, encourage peace and promote international understanding through Lions Clubs. Contact a club near you to get involved! The Foundation is a humanitarian service organization dedicated to impacting sight, hearing and health. The Child and Youth Program (CYP) is an integral component of the National Guards comprehensive approach to Family Readiness. By upholding the well-being of the entire family, the CYP offers outcome based activities designed to foster positive youth development and support the unique strengths and challenges of National Guard children. This high quality, out-of-school time program exists in 54 States, Territories and the District of Columbia to mitigate risky behaviors, enhance resilience, develop positive coping strategies, and assist our National Guard youth in reaching their full potential as the next generation of leaders.